movement of juveniles who are under court supervision or who have run away from home and left their state of residence. States ratifying the compact are bound by federal law to observe the terms of the agreement. 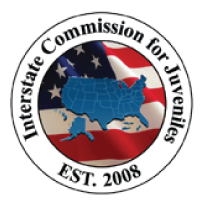 supervision and return of juveniles who have run away from home and left their state of residence; are on probation, parole, or other supervision, or have escaped to another state; and have been accused of an offense in another state. Click here to learn about ICJ State and Territorial Offices. Click here to learn about the ICJ National Office.